Welcome Jack Lockhart from Motueka, New Zealand to our 2018 summer staff team! Jack will be serving as a Counselor/Activity Specialist and is looking forward to working with young people in another country, making friends from around the globe and gaining new skills. Back home, he is passionate about serving his community and does so as a volunteer rural fire fighter and a member of the local community patrol. The most important things in Jack’s life are his “friends and family, moral values & respect for others.” Fitness, health and sports are also near the top of his list. He swims and plays soccer, basketball, rugby and cricket. Jack’s experience with children is varied; he has served as a coach, referee, babysitter, mentor and leader. As a fire fighter, he spends time in and with the community. One of his favorite “kid memories” is actually from a fire prevention expo. At these events, kids climb through the fire trucks and use the giant hoses to put out controlled fires. One child with a disability was watching from the side. Jack helped him try on the gear, maneuver through the truck and even manage the powerful fire hose. Jack’s favorite foods are typical barbecue foods – sausages, burgers, steak and fresh seafood. 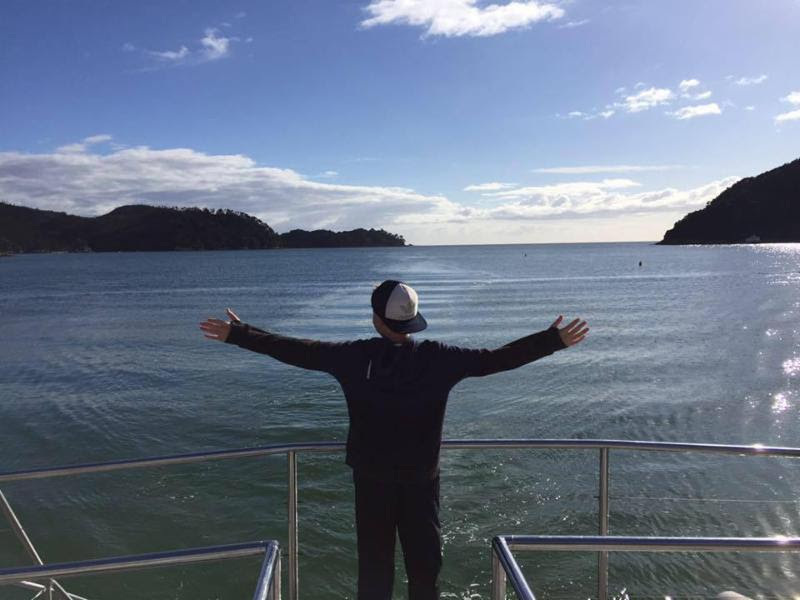 His favorite memories of times outdoors were from primary and high school camps at Abel Tasman National Park. (Check it out!) His long-term goal is to either go into law enforcement or police work, and a summer at camp is great experience for both.